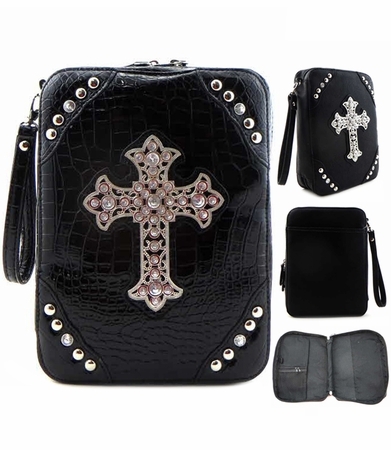 This beautiful bible cover features a zippered closure, back pocket, zippered compartment on the inside. It holds a book the size of 6.5" x 9.5" and just over 2" wide in thickness. Great item while studying God's Word!